A guide to historic Washington, D.C. It was sad news this week to learn of Nelson Mandela’s passing. As the first president of a democratic South Africa, he was the George Washington of his country – a revolutionary who went on to provide stabilizing and unifying leadership as a politician, and then retired to civilian life rather than holding on to power. He was a man who always seemed larger than life, even while he was still living. This weekend I went to the South African Embassy to pay my respects. 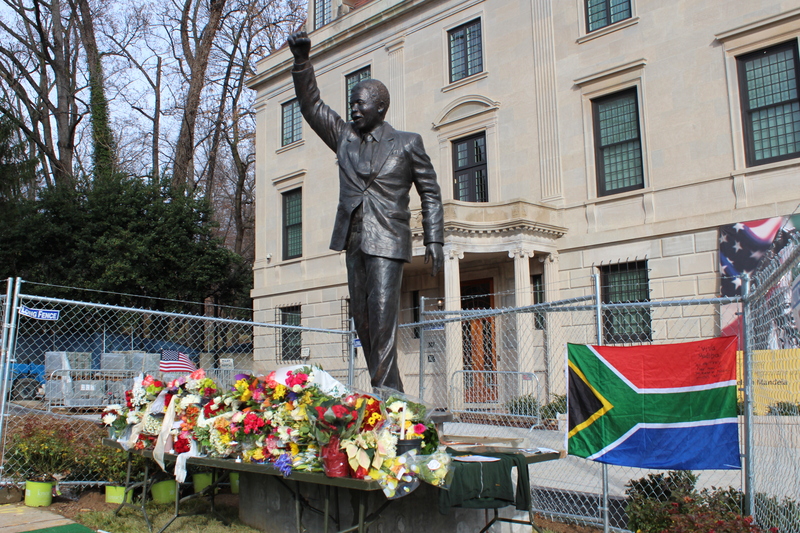 In September, they had just installed a great statue of Mandela out front, visible to all who pass by it on Massachusetts Avenue’s Embassy Row. Mandela’s statue in front of the South African Embassy.